Hostindia is a leading provider of Internet & Mobile solutions, for individuals, Small, Medium & big Enterprises in India. Having a website and lots of information is not enough for success in business, But appear on top of the search result for your targeted keyword will lead you to a successful and long run business man. Now a days we had come across so many customers who really want to appear on the top of the search engine or want to be listed in the top of the search result. 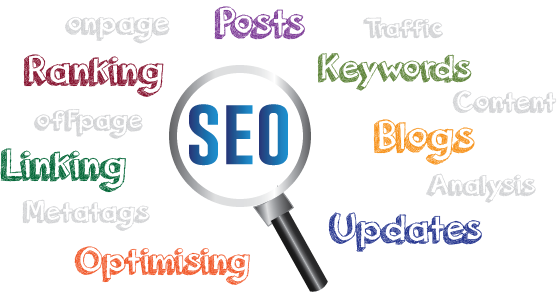 Although SEO(search engine optimization) is not a short time process, but it begins with the website structure. In this article, we will explain to you how to build a search engine friendly website for your business. This article will give you some points and description about the point about how to build a search engine friendly website. For any website content is the king. Before you build a website make your content ready with the proper percentage of keyword and human created. Apart from that, make a collection of your needed picture, video and flash. Add this information on your website with the proper alt tag and title tag. Note: - search engine can't read your images, video and flash file, only they can read is the text. Yes, some powerful search engine spider can read flash file and images, but not all the search engine. In order to make your website more search engine friendly, we can use alt-tag and the title tag. Always remember that content of any website is the signature of a website. Make your content more user-friendly, informative and sophisticated. Here we are not saying that you can create a photo album on your website. But adding more valuable content will help you to reach your goal. In the above HTML code, your-image.jpg is the image name and “description about the images which is read by search engine” is the alt tag of the images. In the same way, you can put alt tag for video and flash files. These additional texts will make your website more informative and search engine friendly. For every website title tag is one of the major feed for the search engine. If you are building a website then title tag and H-tag will put more weight. If you search something in google then a list of results you can see on the screen with a title and some description. Once you click on any one result, it will take you to a page on that page, you may not find the title and description. With a web site presence of meta tag, is very useful and important. Here is the list of meta tag you can put on your website. These 5 meta tags are important, one apart from this you can use 18 types of meta tag. Always remember your title tag should page content relevance and it should explain all your page details including page niche, nature, type and your call to action. Similarly, you can add title tag for the image also. If you put a title tag in your image, then it will help users to understand the page batter. Note: in an image title tag and alt tag both will be good for a site and you can use both tags for a better search engine friendly website. H- tag is like the caption of any description. If you want to appear on the top of the search result for any keyword then you can use the keyword in the H1 tag. H1 tag can be used for a single time for any web page will be done better, and H2 you can use maximum 3 times, but H3 to H6 you can use more time. Note: for a better result, you can put your targeted keyword in the H1 tag and if you are unable to use the targeted keyword in an H2 tag than better will not use H1 tag. You can use other H-tag. If you are building a website then validate your HTNL coding through a validator. If you are using a CMS then it's fine because in CMS you have to put the data and at the back end coding will generate automatically. But if you are creating a page with the help of dreamweaver or notepad++ than batter is to cross check through HTML validation. Note: I am not talking about spelling mistake or grammatical errors. Here is the discussion about HTML coding and validation. Website design also a major factor to be considered for SEO. Yes, if you are designing your website in the old method then you may loose some user. Always use the latest reciprocal website design method which is fit for all types of browser and device including mobile. Now a days smart phone are becoming very popular and most of the searches are happening on mobile devices so make sure that your website is compactable with mobile devices. You have to consider the site loading speed very strongly because site loading speed is also another factor for SEO and you can give your site a good speed while you design and coding the site. You can use G-moz and so many compression tools to make your site speed. Avoid complicated script and using simple coding can increase your site speed. As in the beaning we mention that content is king. So avoid duplicate content on your website. If you are using a CMS or any other platform than the duplicate content possibility is maximum. If you want to improve the search engine ranking on google, yahoo and bing then you have to take care few factors the most. First of all, don’t copy or post same content or identically same content in different pages. Your every pares content should be different and unique from other. Another factor is how many web pages pointing to your page or linked to it is also matter. Don't impact any hidden text on your website called clocking. Example: If you write some text in white color on a white background than may be user can't read that line but a spider will. This will be a negative impact for your site. If you are getting a free hosting then you may find this activity on your website. Be aware of clocking. You can use structured data in your website with the help of schema.org. It is an additional data (markups) you are providing on your website to make it more search engine friendly. If your site has enabled properly structured data than it delivers maximum data about your website to the spider as well as it will help rank in good in the search result. Here Is an example of structured data appearing in the search result. These are the basic concept of creating a search engine friendly website. Apart from this, you can look into few factors to create a search engine friendly website.Your website font and font size should be clear and readable. Put sitemap.xml on your site which helps spider to understand your site better. Upload robots.txt file in your website. Put all the terms and condition in the footer of the website. Don't use much flash file or complicated script on your website. Make your site lighter and use G-zip to compress file size. A good domain name and Reliable Web Hosting Service also matters a lot. Creating a search engine friendly website not means that you will appear on the top of the search result for your targeting keyword. To appear in the search result your first step should be creating a user-friendly website and this article is for that purpose only. To appear at the top of the SERP(search engine result page) you need to do SEO. This article is posted by hostindia.net which is a 16 year old company and leading service providers of web hosting, domain registration and all types of an online business development tool. Hostindia providing value added services to google apps, Microsoft office and Amazon cloud hosting to build your online empire successfully. If I am missing some points, then correct me by commenting below.